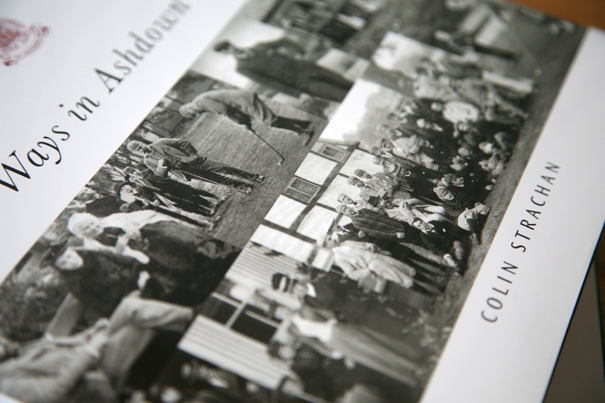 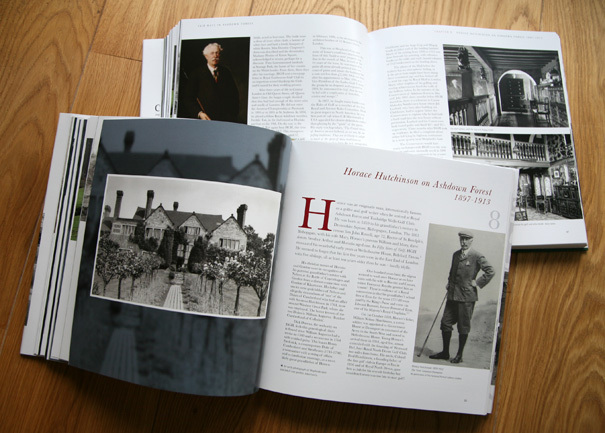 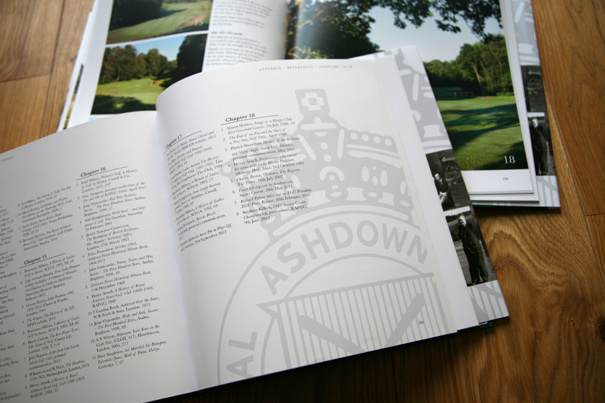 I’m happy to announce the launch of my latest book design, Fair Ways in Ashdown Forest, charting the 125-year history of Royal Ashdown Forest Golf Club, written and collated over the last five years by one of its members, Colin Strachan. 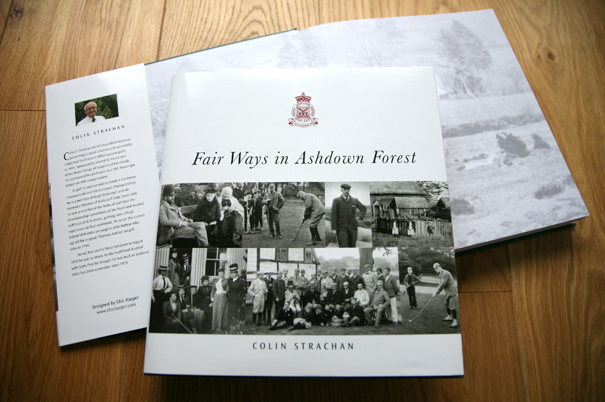 There are two hardback versions: a Limited Edition of 50 leather bound books and a Limited Edition of 450 Wibalin covered books with dustjacket, as featured in the photos below. 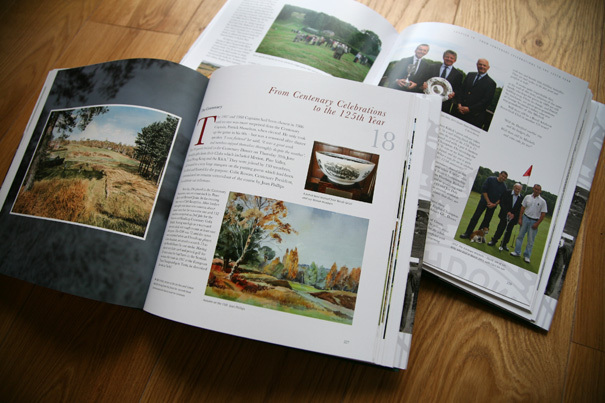 Design started back in April 2013 on this 280-page, 240mm x 260mm production that features over 500 images, a number of which have never previously been published. 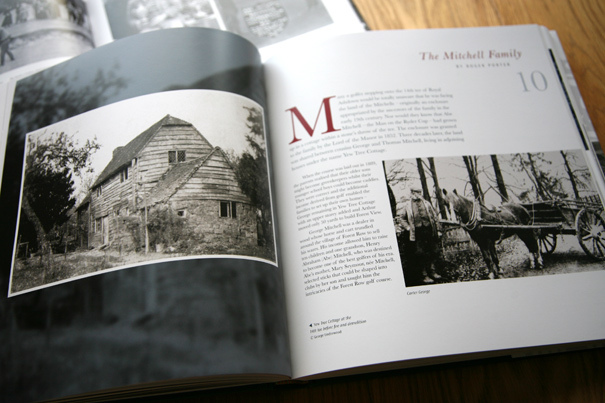 Many of these came to me as poor sepia scans and prints, so ensuring they would reproduce at optimum quality took hours of retouching and careful manipulation. 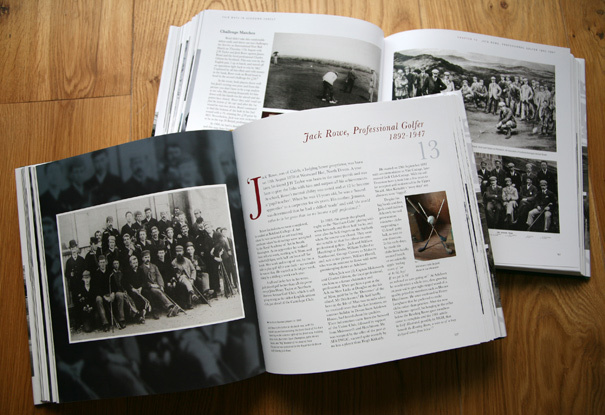 The finished article justifies the effort. 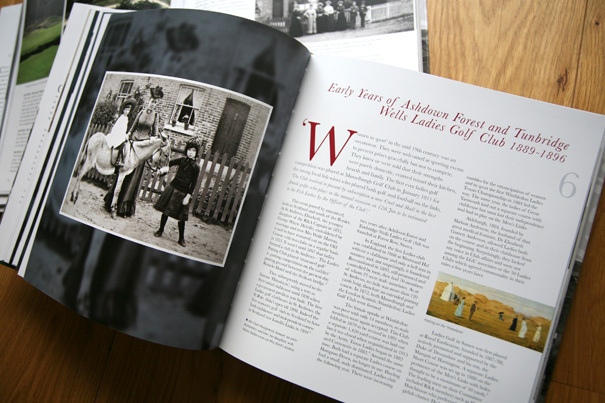 This club’s rich history is peppered with many famous names, like Horace Hutchinson, Abe Mitchell (the man immortalised on the top of the Ryder Cup) and Alfred Padgham from the world of golf, there’s Harold MacMillan, Arthur Conan Doyle and A A Milne of Winnie the Pooh fame, just to name a few. 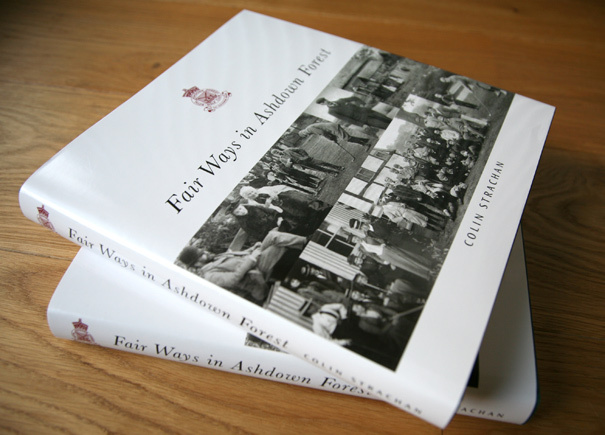 It is a fantastic read – I know, because I must have read every page about six times, placing it, artworking it, adjusting it, often correcting punctuation, making author’s corrections, checking, proofing and re-proofing! 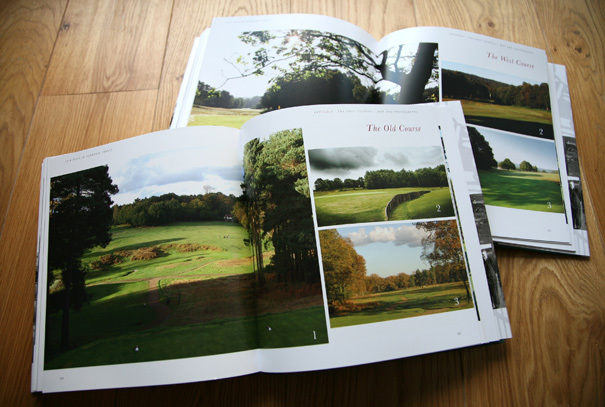 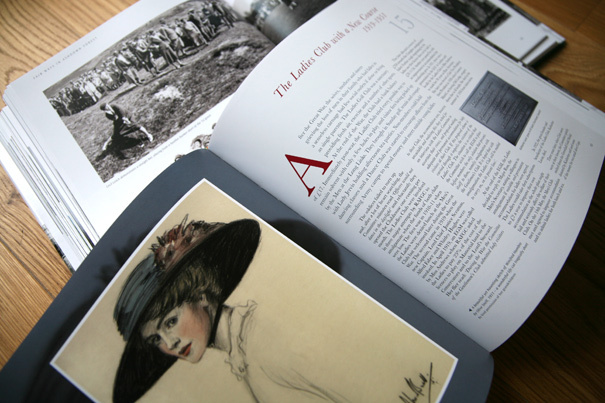 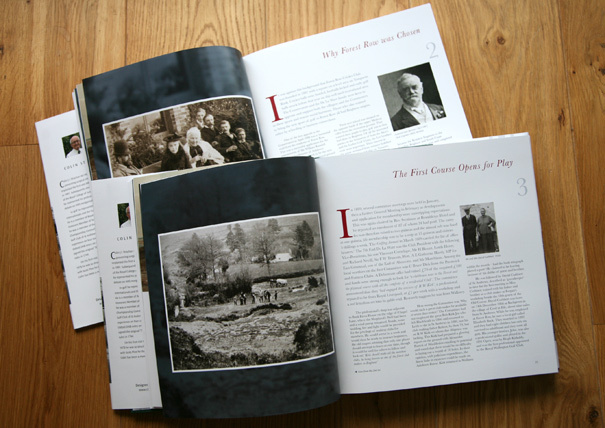 The book’s printer, CPI Colour in Croydon, Surrey, has complimented the book, saying “it’s a stunning piece of work, the design is superb and the work that must have gone into getting the images so good is commendable”. 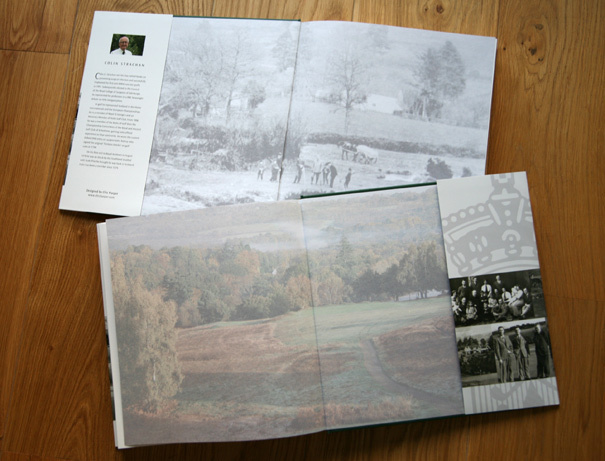 They especially liked the use of the soft images on the Colorplan endpapers. 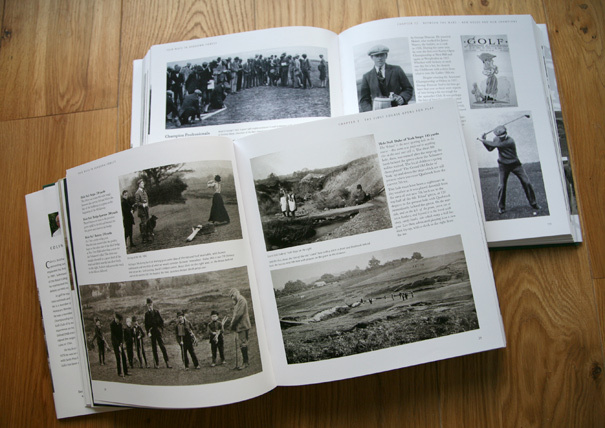 Club members are also very impressed, says Club Secretary, David Holmes, “They are astonished and delighted by this most impressive book, and it is a remarkable record of the club’s 125 year history”.